The Qing dynasty (16361912)a crucial bridge between ';traditional' and ';modern' Chinawas remarkable for its expansiveness and cultural sophistication. 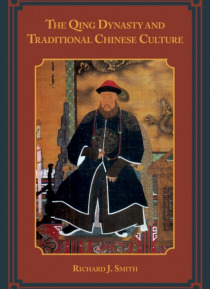 This engaging and insightful history of Qing political, social, and cultural life traces the complex interaction between the Inner Asian traditions of the Manchus, who conquered China in 1644, and indigenous Chinese cultural traditions. Noted histo… rian Richard J. Smith argues that the pragmatic Qing emperors presented a ';Chinese' face to their subjects who lived south of the Great Wall and other ethnic faces (particularly Manchu, Mongolian, Central Asian, and Tibetan) to subjects in other parts of their vast multicultural empire. They were attracted by many aspects of Chinese culture, but far from being completely ';sinicized' as many scholars argue, they were also proud of their own cultural traditions and interested in other cultures as well.Setting Qing dynasty culture in historical and global perspective, Smith shows how the Chinese of the era viewed the world; how their outlook was expressed in their institutions, material culture, and customs; and how China's preoccupation with order, unity, and harmony contributed to the civilization's remarkable cohesiveness and continuity. Nuanced and wide-ranging, his authoritative book provides an essential introduction to late imperial Chinese culture and society.